Winning an abundance of awards for her design finesse and starring as one of the entrepreneur judges on BBC Two’s Dragons’ Den, interior designer Kelly Hoppen has left her stylish mark across the creative spectrum. 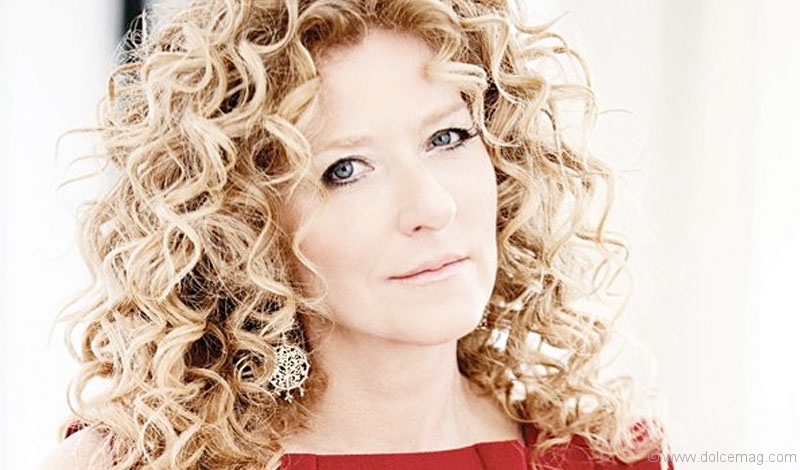 After decades of working her magic, the British firecracker launched Kelly Hoppen Interiors (KHI), a design firm with 40 creative minds in tune with her stellar vision. Dolce Magazine chats with the designer about her East-meets-West styling method, why she transplanted KHI from Notting Hill to the heart of West London, England, and why she’s particularly fond of the staircase at the firm’s dreamlike new studio space. DM: How does this new space reflect the style that is so unique to you and your firm? KH: I designed the whole space myself from top to bottom and it was a total refurbishment on the space, so it could not be any more Kelly! The colour scheme is my signature neutral palette and follows my design philosophy of fusing Eastern ideas of clean lines and simplicity with Western-style sumptuous textures and luxury finishes. DM: Do you agree that an interior designer’s studio is one of the most important spaces they’ll ever work on, since it’s their own space to showcase their talent and style? KH: Would you trust a dentist with bad teeth? Of course not! The same goes with a designer and their studio. The studio is a complete representation of my work, my style, my taste, everything! I am so proud of it, and I completely love it. DM: What interesting pieces in the new studio do you find inspiring? KH: Finishing the staircase was an incredibly exciting moment that always sticks in my mind. Once the stairs were in, I started to get really excited that it was all coming together. The studio was a building site before; there is a short video of me in my builder’s hat as the first person to walk up the stairs. I was completely overexcited by the whole thing. I also especially love the long meeting tables — they are beautiful and allow my whole team to sit, talk and create. DM: What must a space have in order to help promote creativity in the people who work inside it? KH: The studio had to spark creativity for the team and me but also be a relaxed, professional environment to work in. One of the most important elements for this, I think, was the lighting — it has to be perfect. Light can have such a huge impact on our moods, feelings and creativity. Having as much natural light as possible is preferable; however, too much glare can be as unproductive as working somewhere which is too dim. I think my design style is perfect for promoting creativity as well because of the Eastern influence, which is so calming and simple and creates a wonderful vibe for creating. 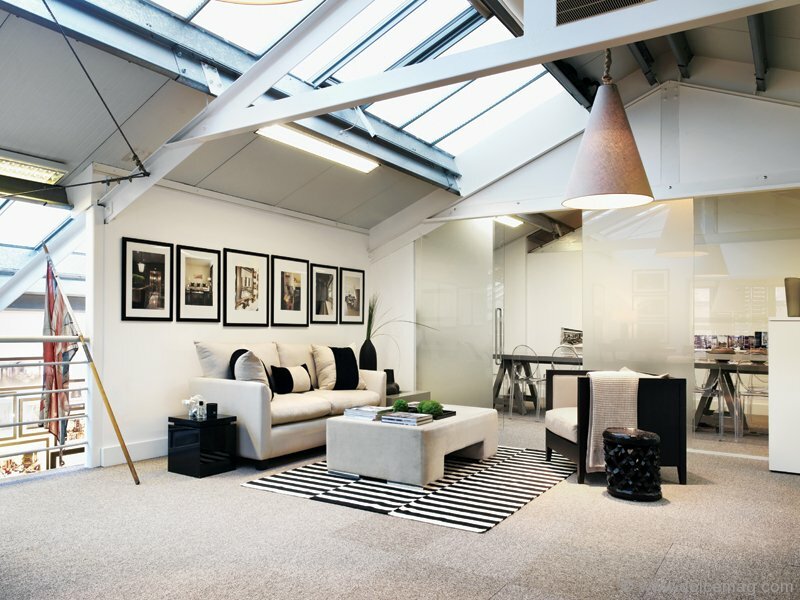 DM: Would you say this new studio is a big step for you personally, and for Kelly Hoppen Interiors? How so? KH: Of course. I was sad to be leaving Notting Hill but I knew it was the right time to move on. 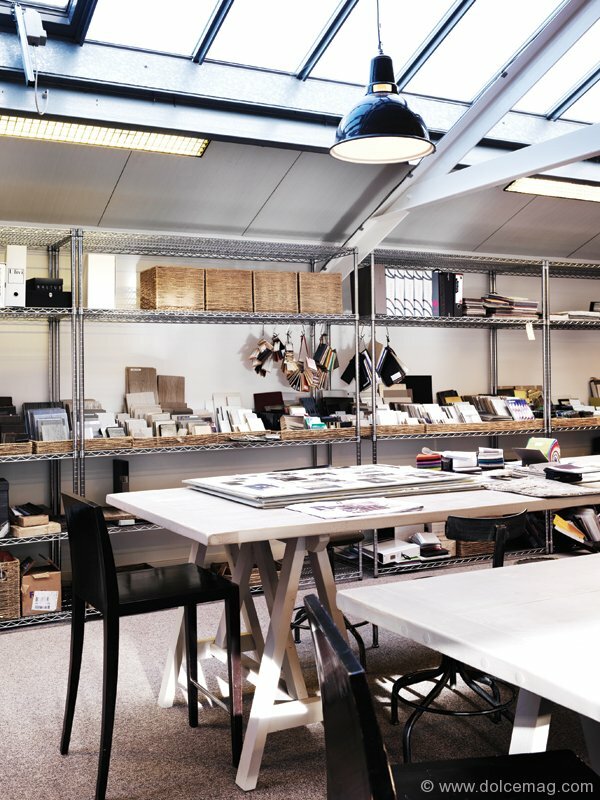 The new studio can better accommodate my growing team and the ambitions I have for Kelly Hoppen Interiors. DM: Do you imagine the style of this new studio changing frequently, or will it stay mostly the same over time? KH: I try to make my designs timeless, especially in terms of colours. That definitely will not be changing. One element that might change is the accessories that I have on display from the Kelly Hoppen online store. It’s fun updating the space and keeping it fresh with my latest collections. 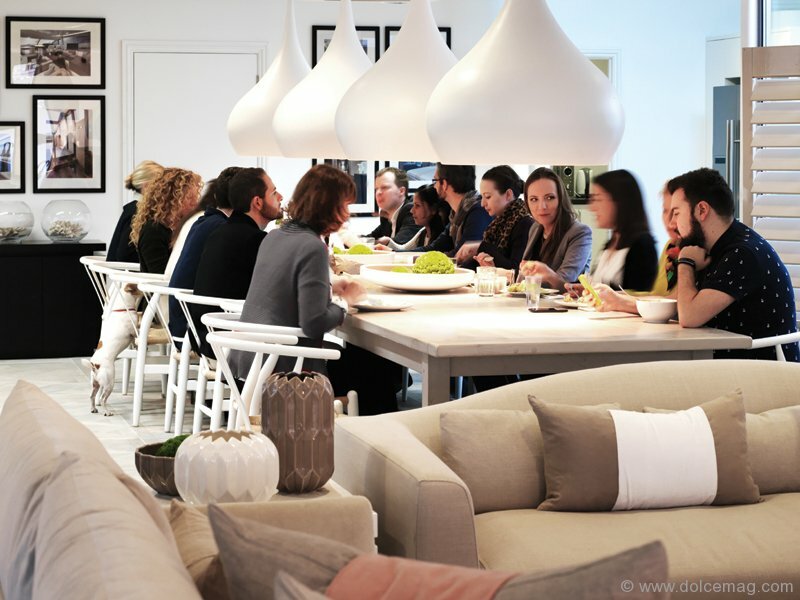 DM: Kelly Hoppen Interiors is made up of a team of 40 designers. How would you compare working with other professionals to working solo? KH: My team is so fantastic and really helps ease the workload, which is crucial when you work on as many projects as I do simultaneously. Having a reliable, incredibly dedicated and experienced team is essential for my business and my clients know that even if I cannot be on the ground every day, there will always be a member of my team working around the clock and keeping everything on schedule.